At noon local time Prague will once again be the place to be for all poker enthusiasts in Europe, as Day 1a of the 2017 PokerStars Championship Prague €5,300 Main Event kicks off at the stunning Hilton Hotel Prague. The PokerStars European Poker Tour (EPT) has previously visited "the City of a Hundred Spires" since 2007 and it is the 11th consecutive year that the PokerStars branded live tour finishes off the year in the Czech Republic. The flagship tournament of the 43-event strong festival comes with a price tag of €5,300 and all players receive 30,000 in chips. Each Day 1 will play a total of eight levels of 75 minutes each with breaks every two levels and a 75-minute dinner break at the end of level six. Action concludes around midnight local time and the registration remains open until the cards are back in the air for Day 2. It is the seventh PokerStars Championship Main Event since the rebranding and previous winners include Christian Harder, Kenneth Smaron, Elliot Smith, Raffaele Sorrentino, Pavel Shirshikov and Sebastian Sorensson. Sorrentino almost became the first player to claim two titles in the very first year and finished third in Barcelona after cutting a three-way deal with Sorensson. Back in December 2016 it was Jasper Meijer van Putten that lifted the last EPT Main Event trophy here in Prague after emerging on top out of a field of 1,192 entries, taking home the lion's share of the €5,781,200 prize pool for a career-best score of €699,300. The Dutchman has extended his unbeaten run without being eliminated from a tournament in Prague to nine days in a row after topping a field of 49 entries in Event #2 €10,300 Single Re-Entry. 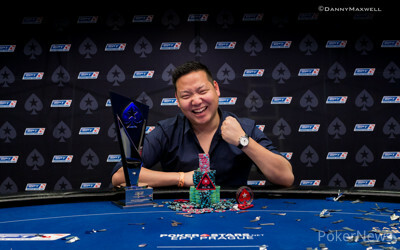 Along with the second PokerStars trophy at the Hilton Hotel, van Putten added further €150,000 to his poker bankroll and will be back to defend his Main Event title in the upcoming days with the confidence at an all-time high. 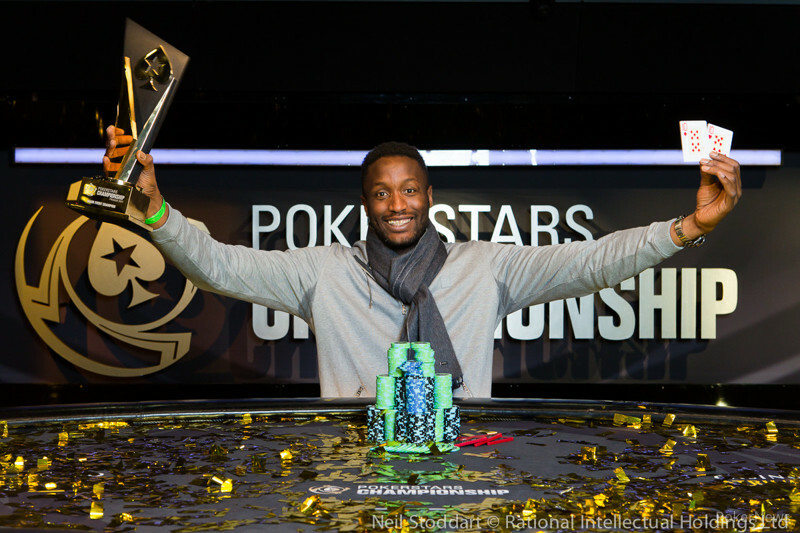 The €50,000 Super High Roller will play down to a winner later today as well as Timothy Adams holds a commanding lead over Adrian Mateos and Mikita Badziakouski, while Georgios Vrakas leads the final eight in the 2,117-strong PokerStars National Championship €1,100 Main Event. Other finalists include Marco Regonaschi, Yan Shing Tsang and Ludovic Geilich. 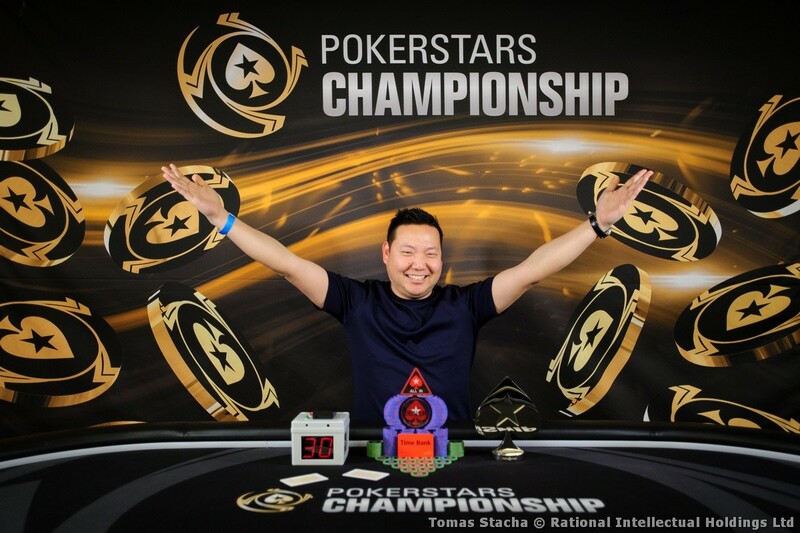 Mrakes in Charge as Day 5 of the Last-Ever PokerStars Championship Main Event Kicks Off at 12 p.m.